Bill Gates has listed a very important talk as one of his favourites. Bruce Aylward presented about the goal to elimiate Polio. He even mentions the help Rotary has done for this cause. This talk explains and simplifies exactly what is happening with Polio. Rudy Simone is a speaker on Youtube, an author, and an Aspie. Nothing is more encouraging than seeing a relatable person normalising Asperger's. Rudy jokes in this video that she "doesn't look Aspie." Of course Aspies don't look different. I'll be rushing out for a copy of Asperger's on the Job because it addresses a widespread issue. She says there is an irony where Aspies are smart and focused, but have troubles such as social anxiety. If anyone is looking at solutions, that's awesome. You know a writer has street cred when there's a tick of approval by Temple Grandin. And it doesn't get more expert than support from Tony Attwood. Youtube provides an abundance of videos about Asperger's. The best ones are real-life stories, often autobiographical. The experts know theory behind it, but first-hand experience gives perspective. 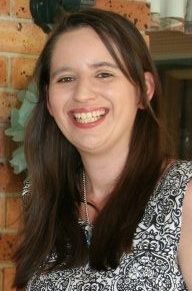 Wendy Lampen studied Asperger's after she was diagnosed with it. She compares her brain to a sponge. It soaks up stimulus in surroundings. Visual memories become associated with everything. It's a mental mind map. Wendy considers the visualisation as an advantage. Her talk is theoretical but personal. Check out this recording from TED Talks. A short documentary was made about Dave. My favourite quote is, "you don't really feel familiarity..." When talking to new people, there is no context or guiding background to talk about. Click here for Youtube. Screencast Spotlight compares Asperger's to Spiderman's power. They see the Aspie visual tendency as creative. It is presented as a blessing, not a curse. See Michael Tolleson's story here. Social media will allow you to share and discuss this powerful film with the wider community. Got an impression of this fully likable documentary? Then why not click ‘like’ at their Facebook page? The film makers regularly update us on the latest news. Follow their messages on Twitter. This tale of professional development is perfect to share with the wider working world. There’s a Linkedin page about Tumbleweed Entertainment, the production company behind SPEAK.The Instagram profile is packed with memes and pictures with quality quotes. One image reads, “…your life tells a story… and there’s someone out there who needs to hear it.” Powerful. I have stumbled upon some philosophical blogs that are simply psychologically healthy. They share ideas on balanced life and positive thinking. My religious beliefs are very different to some from the blogs. That's ok. The neutral posts will benefit people of any belief system. Temple Grandin gave a highly informative TED talk about how Asperger's can enhance the workplace. That's right. It was great to see someone focus on what Aspies do well instead of dwelling on the negative. Just like everyone else in the world, they just need to focus on what they're good at. I found her speech by searching "Asperger" into the TED Talks web site. You can find talks on pretty much anything you're into. All the speakers are informative and inspiring. They're often experts in their field. This video below is a powerful one that spoke to me. First, who is Temple Grandin? She's a published author with books about Asperger's, animals, and social rules. Oh, and there's a movie about her. You know you've made it when Claire Danes stars in a film about you. A couple of shows have popped up in the past year, to address the feelings of current twenty somethings. We came of age in the worst recession since the Great Depression. Most of us finished college and then rushed back there to get more competitive qualifications. Our ambitions and goals seem distant in a world where you're lucky if your work earns money. Social life gets more complicated as we grow older. And then, when things fall into place, we are incredibly thankful to be young 'grown ups'. So this massively important trend has ended up on the small screen. I have only seen bits of these shows, but let's see how their early episodes are. Do they define a generation? Or do they present college graduates as 'starting out?' I worry about this assumption that real life doesn't start until after graduation. These Kardashian girls have sustained a pretty impressive following. I sort of avoided them for a few years because I wasn't sure what all the attention was about. I never watched their show and don't feel the need to now. Because there must be more to them than being followed by a camera. Others have tried the reality TV path - Jessica Simpson, Paris Hilton, and so on. Plenty like them didn't last so long on the small screen. In fact, E Entertainment suggests Kim's show practically replaced Paris. The more I stumble upon interviews from the Ks, the more they make sense. Something is different. They seem like a few genuine flawed chicks who, despite the success, are just like the rest of the world. The family has seen birth, death, marriage, divorce, weight, struggle and success. So why were they chosen for a show? Kim & co are also really good at clothes. Turns out these brunettes are fashion designers. Their mum explained to WSJ. I don't normally blog about going to the doctor, but this affects anyone who wears shoes. One of my feet had been tolerably but definitely painful whenever I walked. Having put up with it for a few days, it was time to figure this out. Of course it was not broken because people can't cope walking on a broken bone. The answer: my shoes were too flat. Us flat-wearing heel-avoiding types get all high and mighty about our sensible soles. But the latest trendy plastic flats are no better. They come in cute colours and can be 5 bucks during a sale. But costs are cut too far. Our feet apparently need a bit of support. A bit of distance from the ground. I was a victim to those discounted foot-hugging slipper-like creations. The sole would erode until there is nothing left. The answer is support. It sounds like a philosophical pun, but that is really how it worked. The world wants Brittany instead of Daria. I am not talking about anyone with the last name Spears. No, this is about a beloved TV show from our nice friends at MTV. Daria was a quiet intelligent introvert who told it how it was. That's something I can relate to. I feel the need to be politely honest because it allows for understanding. Daria definitely used her intellect for virtue. But Brittany had something to offer too. Daria is a well meaning individual. She talks calmly with thought behind every word. Her views can be summed up in her graduation speech. But her perspective was seen most when she told a crowd, "There is no aspect, no facet, no moment of life, that can't be improved with pizza". But she spent most of her time keeping to her self. This may have felt comfortable, but we can relate to people better when outside of our comfort zones. When chatty. It is time to let you nice readers know that, indeed, I am once again looking for permanent work. And the most I can do is keep looking and blog about it. I am willing to do any job. But my qualifications are in something very competitive - marketing. I would happily do something else. Does it mean giving up on the dream? Maybe not. Maybe it's just putting the dream on hold. Last year was a mish mash of projects. I studied to finish one course mid year. After 4 months away from study, I was ready for a new course. It's a great way to feel challenged.